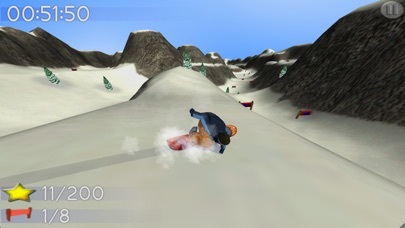 Realistic snowboarding and controls made by real snowboarders. 16 huge unique trails let you jump off cliffs, bomb down chutes, and head to the park. 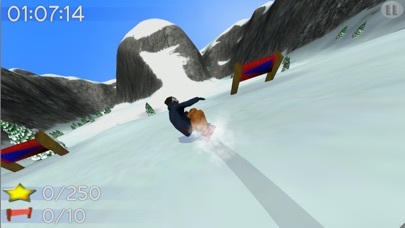 The controls include snowboard carving, skidding, and switching between goofy and regular whenever you want. Jump off 1,000-foot cliffs. Use downhill momentum to go up ramps. Tuck to bomb down the mountain. 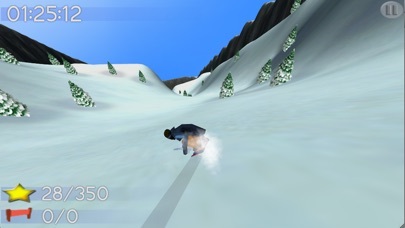 Explore different paths down the slopes and have fun. 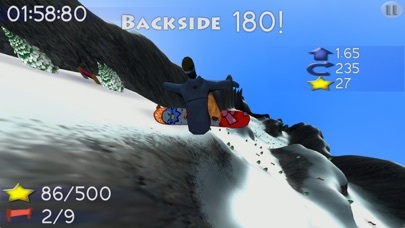 The 1.24 update gives you two ways to control your snowboard. There's the traditional tilt control with touching the screen causing you to stand up and turn faster, and new touch steering controls. If you pick the new controls from the options menu you can drag your thumb around to turn, add a second touch to stand up, or swipe up to start a jump. There's also an option to stand by default and touch to tuck if you preferred the old controls.